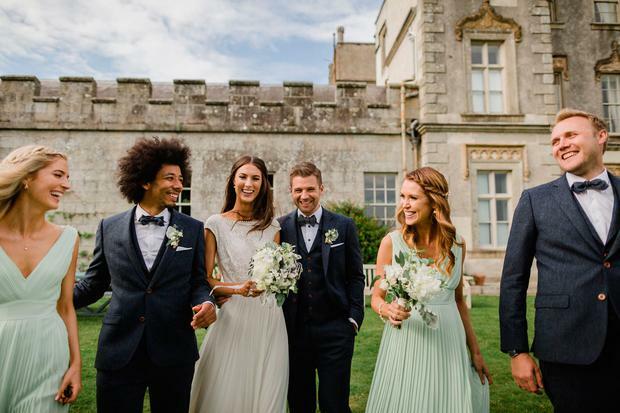 Although the couple wanted a 'laid back and fun' wedding, they found the planning somewhat overwhelming, knowing exactly what they wanted before they even began to look at venues and suppliers! 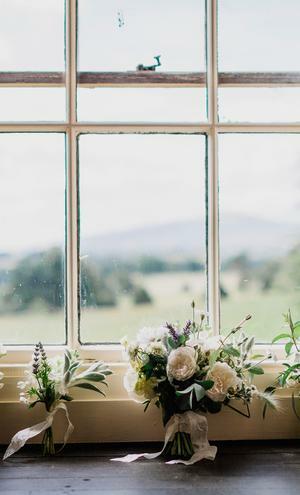 Fortunately when they came upon the ballroom at Borris House in Carlow they were smitten, and set about creating a 'rustic and personal' wedding, catered for by Eunice Power. 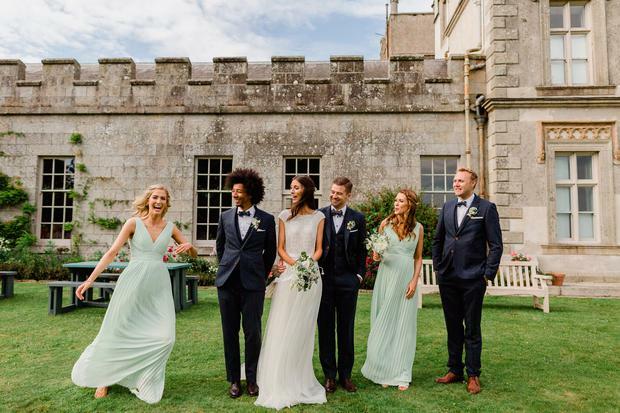 The bride wore a glorious gown by Daarlarna, which she said she had the exact style of in mind before finding it in The White Room in Mullingar, the bridesmaids wore dresses from asos, while the groom and groomsman wore tailored suits from Magee in Dublin. 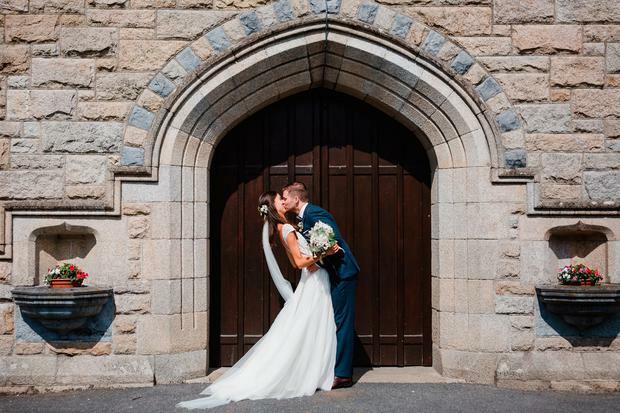 When it came to moments that stood out for Fiona, she said she found taking the photos after the ceremony the most relaxing part of the day, and while neither would change a thing about the day, both agree if they had to do it again, they'd hire a professional to do the planning! Their photos are by Annie Kheffache, with second shooter Kevin Kheffache. "Everyone says you should keep an open mind when it comes to dress shopping," said Fiona, "but I have to say I had an exact dress style in mind!" She toyed with the idea of getting it made, but luckily she ended up the perfect match by Daarlarna in The White Room, Mullingar. 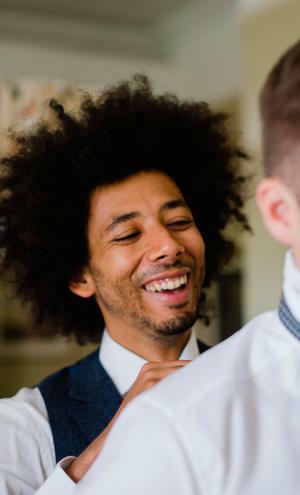 John and his groomsmen wore navy blue three-piece suits which they finished with polka dot bowties. Their tailored suits were from Magee in Dublin. 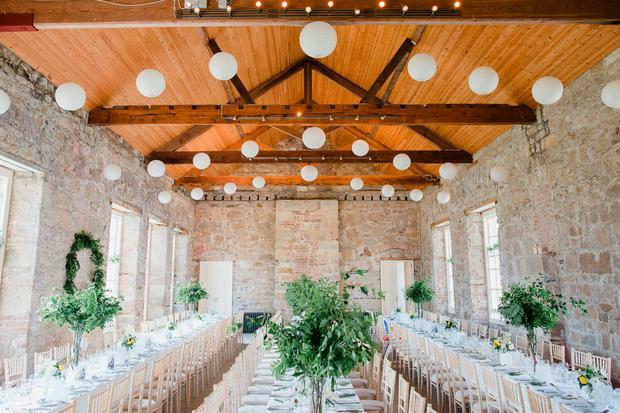 The couple wanted a rustic style, laid back and fun vibe for their day, with nothing too formal. 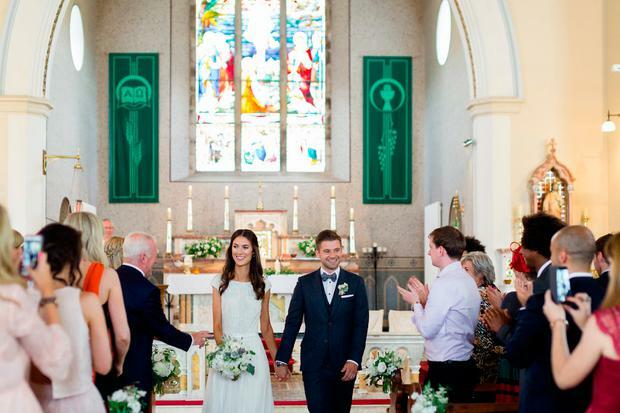 They tied the knot in Sacred Heart Church, Borris, where Fr Paul Taylor presided over their vows. 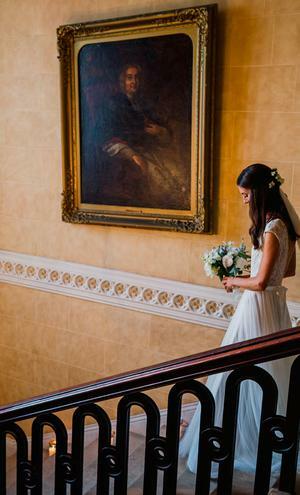 "We found the planning quite overwhelming, although we knew exactly what we wanted the day to be like, " said Fiona. Their catering at Borris House was done by Eunice Power and her team. 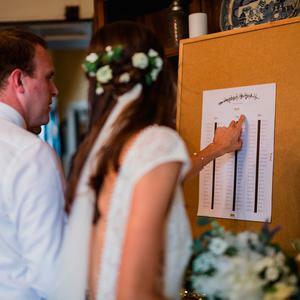 "We decided to go for family-style sharing starters and main course, which worked really well with the long trestle tables, and encouraged everybody to mingle! It also meant we could go with something a little different for the menu." 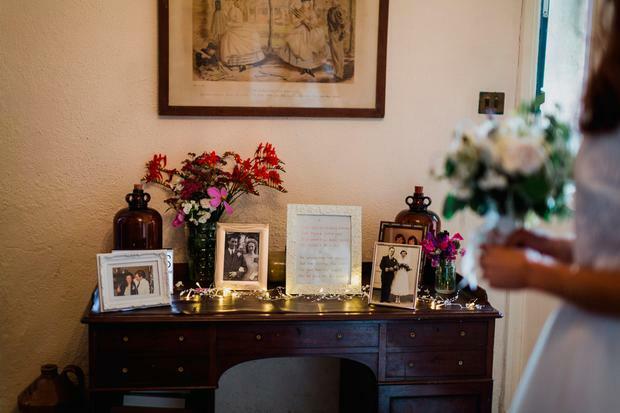 John and Fiona wanted somewhere they could make personal to them as a couple, and somewhere they could choose different elements such as the catering and decor to suit their theme. 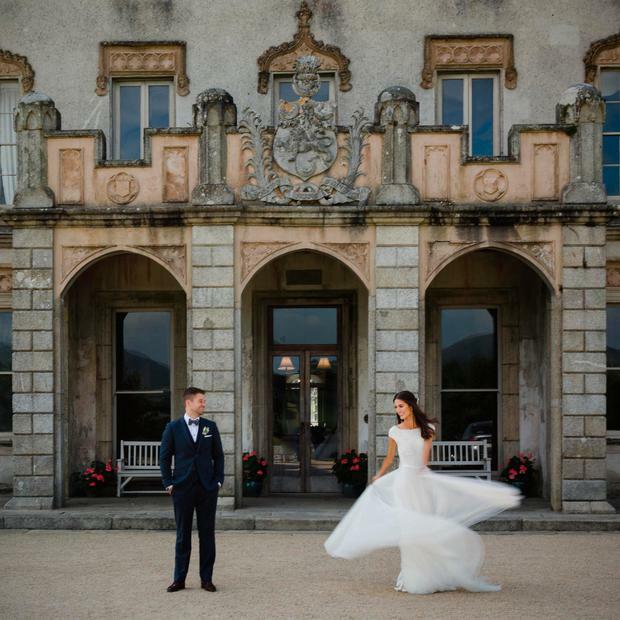 "It was the gorgeous ballroom in Borris House that sealed the deal!" said Fiona. 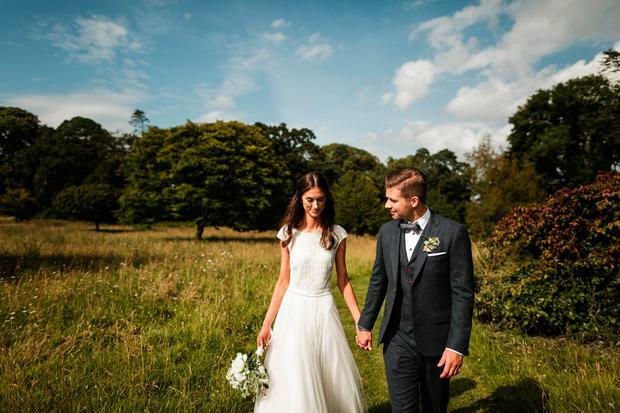 While for many couples taking too much time on photos can be a bit of a hindrance, Fiona and John enjoyed the time as it gave them an opportunity to spend some quality moments together and relax after the ceremony. 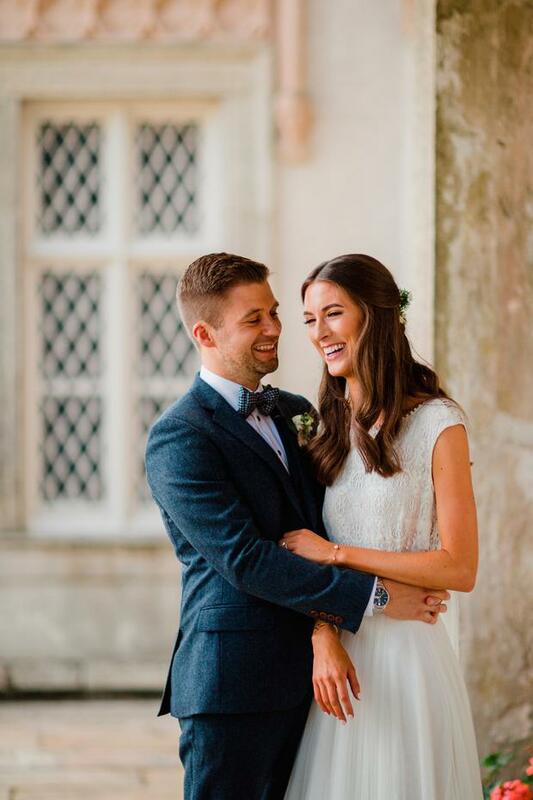 "After the nervous adrenaline rush of the ceremony, it was a lovely opportunity to spend some down-time together before the business of the reception!" said Fiona. "Our photographers and videographer were so laid back and calming so it didn't feel awkward or forced!" When it came to what really set the tone on the day, Fiona admits that the weather gave everything an extra boost; "Having a warm, sunny day was the best surprise! 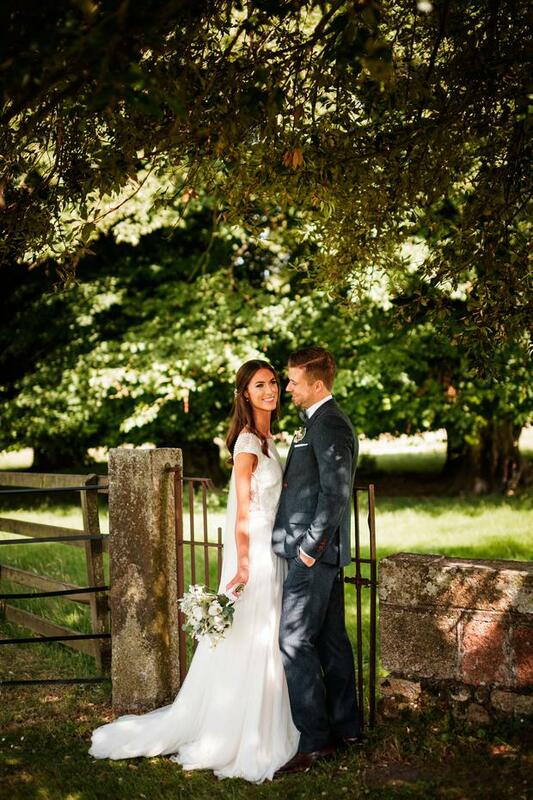 It put everybody in a great mood, which meant the atmosphere was brilliant and everything looked picture perfect!" "Have someone else do the planning!" said Fiona about doing it all over again, however she "wouldn't change a thing" about the day itself. 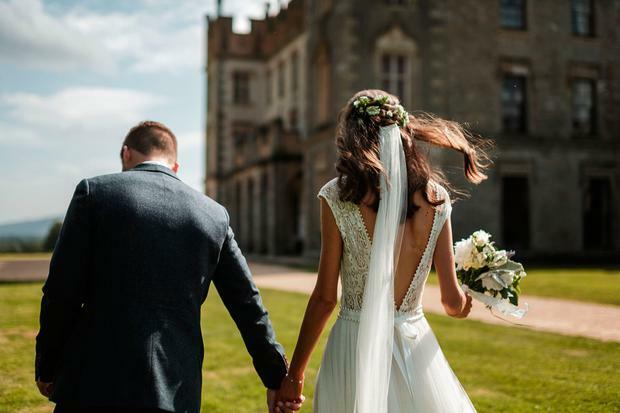 "With the planning," says Fiona, "try to do little and often so that on the week of the wedding you can completely relax and enjoy the build up!" 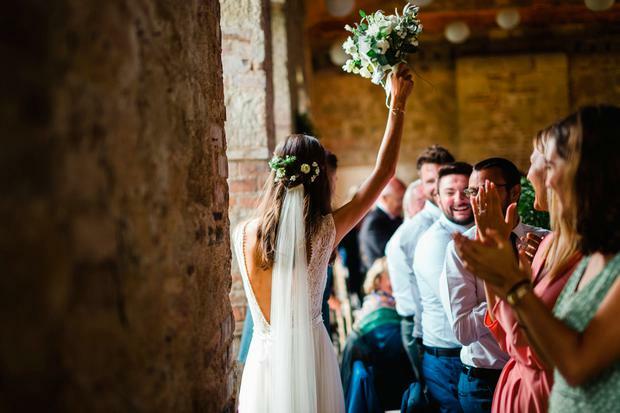 The couple honeymooned in Tuscany and Sardinia. 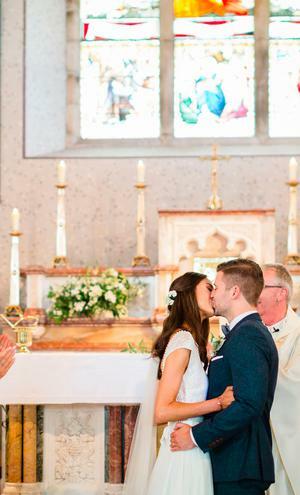 Want to see YOUR WEDDING on THEVOW.ie?